My new game, Zen Garden Puzzle, is finally ready and is waiting for review from Apple. If nothing goes wrong, it should be on sale a couple of weeks from now, just in time for Christmas. I had talked about this game almost exactly 6 months ago. My original intention was to write regular updates and release the game in September, but development was harder than expected and it absorbed me completely. I'll try to make up now for the lack of updates. When I review games, I try to see past the presentation and judge the core mechanics, but it's undeniable that a good looking game is more enjoyable than a bad looking one. I wanted this game to look good, but I do all the graphics myself and as an artist I'm not half as good as as a programmer. 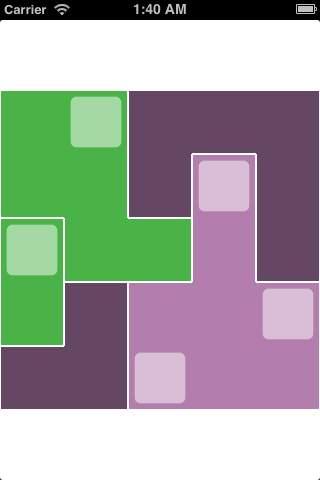 To overcome my limits, my initial plan was to make a minimalistic game, with very simple abstract graphics. Initial prototypes looked like this. 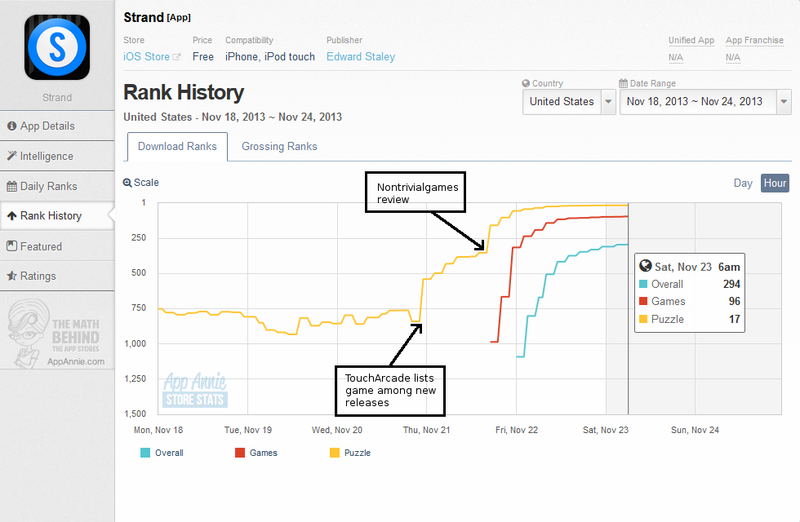 In my review of Strata I mentioned how the game was strangely listed in the TouchArcade weekly list of new releases, even if it had been released a few weeks before. 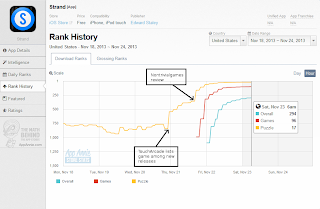 This was a wonderful occasion to check how much media coverage influences the downloads of indie puzzle games, so I've been keeping an eye on how it was doing in the charts. The first release of Circles was quite boring. From the screenshots it seemed something different, but in reality it was just another impersonation of the ubiquitous toroidal sliding block puzzle. 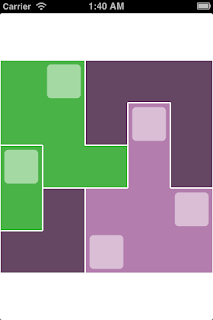 The only difference was that instead of the usual square grid, in this game the tiles are warped to form a circle. Luckily, version 1.1 fixed this by adding several new configurations that are guaranteed to make even experts of sliding block puzzles scratch their head.